The Democrat wins the most closely watched race in Tuesday’s elections. Terry McAuliffe wrested the governor’s office from Republicans on Tuesday, capping an acrimonious campaign that was driven by a crush of negative advertising, non-stop accusations of dodgy dealings and a tea party-backed nominee who tested the limits of swing-voting Virginia. 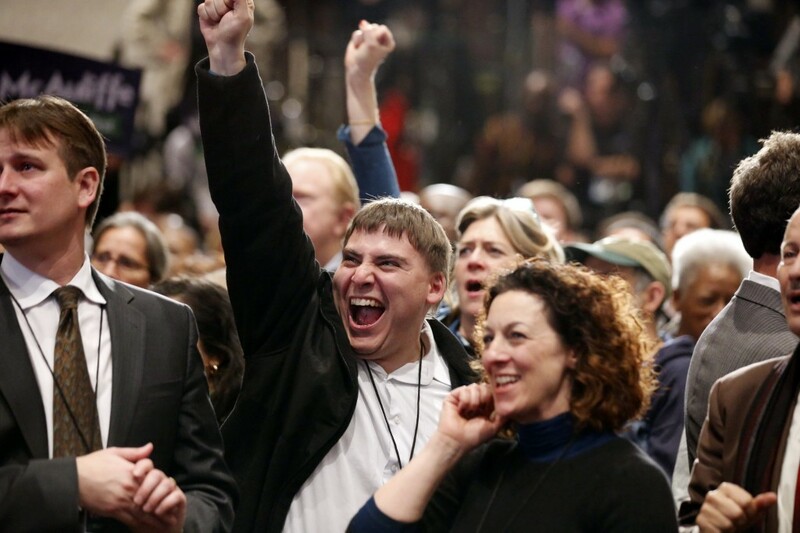 McAuliffe received 47 percent to Cuccinelli’s 46 percent, with 97 precincts reporting. 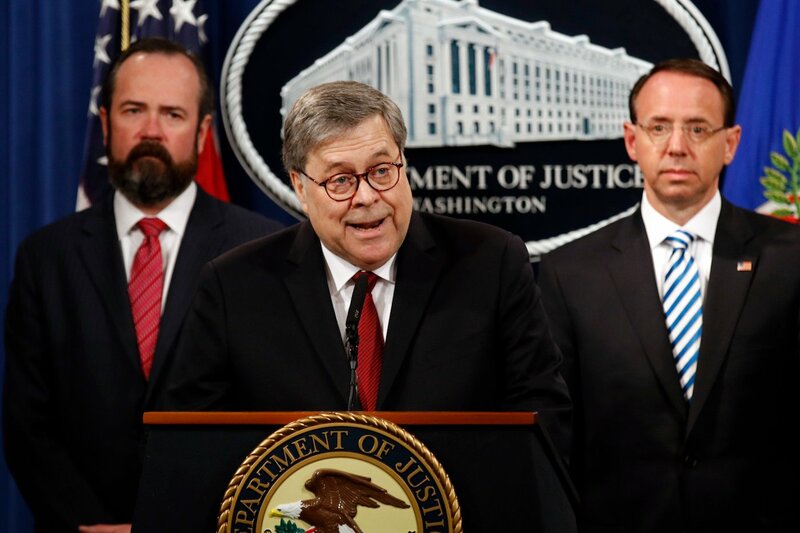 He immediately promised to reach across party lines, starting with a pledge to meet with Republican lawmakers to find areas where they might collaborate. McAuliffe, a Democrat, ran strong among unmarried women, voters who made abortion a top issue and those who called the suburbs of Washington, D.C., home, according to preliminary results of an exit poll conducted for The Associated Press and the television networks. Cuccinelli, meanwhile, fared well among tea party backers, gun owners and among the state’s rural residents — but there were not enough of them to yield a victory. 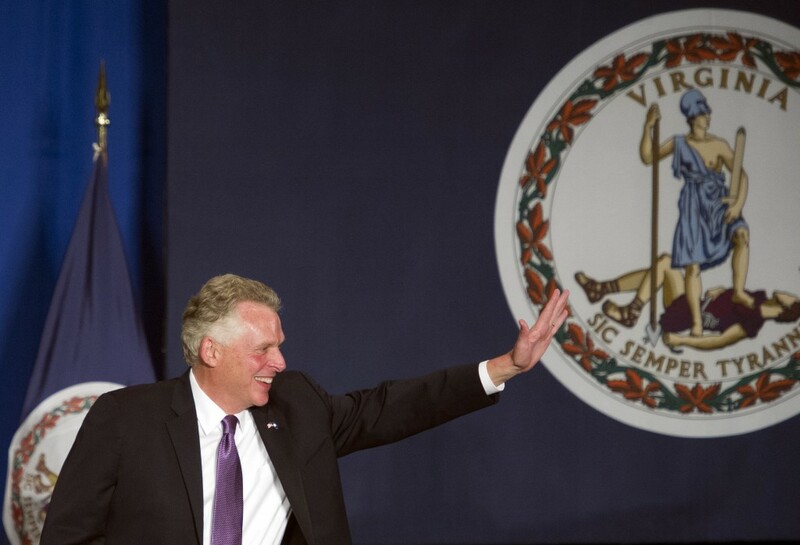 In winning, McAuliffe broke a stubborn streak in state history. During the past nine governor’s races, the party that controlled the White House at the time has always lost. That’s not to say voters rushed to back McAuliffe’s vision for Virginia. Turnout was low, and both candidates worked through Election Day to reach as many potential voters as possible. Only 52 percent of voters said they strongly backed their candidate, while the rest had reservations or backed a candidate because they disliked the other options, according to exit polls. Neither major candidate’s ideological views seemed “right” for a majority of Virginians; 50 percent called Cuccinelli too conservative; and 41 percent said McAuliffe is too liberal. Voters’ dissatisfaction couldn’t overshadow the fight on television. 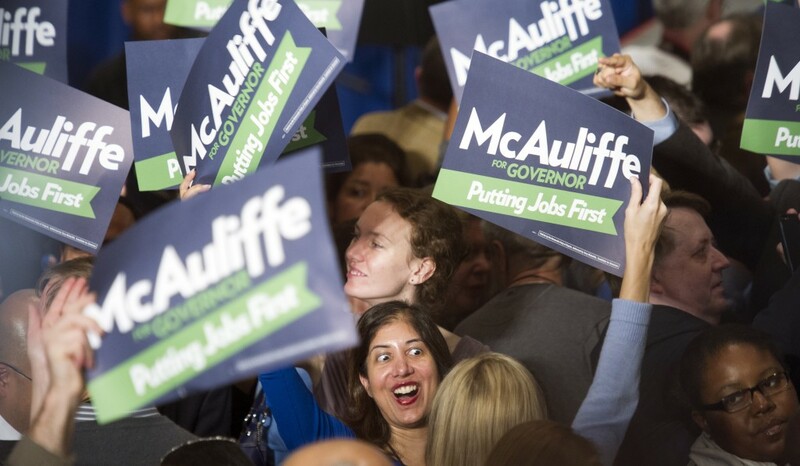 McAuliffe enjoyed a 10-to-1 advertising advantage over Cuccinelli during the final days. “I think that every single person in Virginia is glad now that the TV ads are over,” McAuliffe said to laughter and applause. 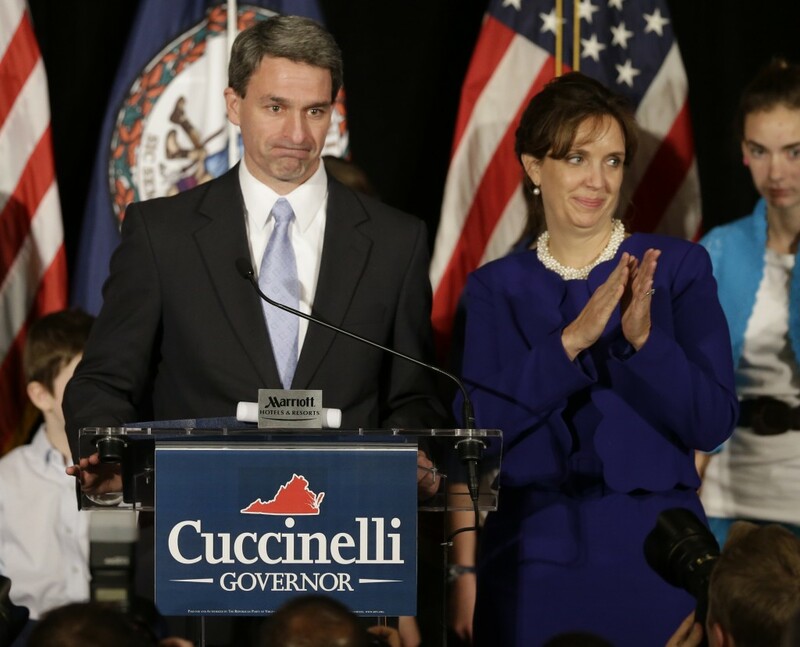 In his emotional concession speech, Cuccinelli also noted the lopsided spending and vowed he would not give up on his fight against Democrats’ national health care law. “The battle goes on,” Cuccinelli said. The campaign’s tilt turned many voters off. Richard Powell, a 60-year-old retired IT manager who lives in Norfolk, described himself as an independent who frequently votes for members of both parties. He said he cast his ballot for McAuliffe, although not because he’s particularly enthusiastic about him. He said he was more determined not to vote for Cuccinelli, who he said overreaches on a variety of medical issues. 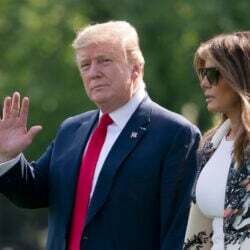 “I’m not in favor of abortion — let’s put it that way — but I find that restricting abortion causes far more social harm than allowing abortion, so that was an issue for me,” he said. McAuliffe’s narrow victory in Virginia rested on a 9-point edge among women, while the two major party candidates split men about evenly, according to exit polls. McAuliffe carried liberals and moderates, Cuccinelli independents and tea party backers. From the outset, the campaign shaped up as a barometer of voters’ moods and a test of whether a swing-voting state like Virginia would elect a tea party-style governor. Republicans bet a deeply conservative candidate would be their best shot at holding onto the governor’s office, passing over a lieutenant governor for Cuccinelli, a crusader against the federal health care law. Cuccinelli pinned his hopes on voters’ frustrations with the federal health care law he attempted to foil. He tried to make the election into a referendum on the health care law, which McAuliffe supports. The 45-year-old Cuccinelli went into Election Day trying to overcome a deficit in the polls, a crush of negative ads and a lingering wariness among fellow Republicans about his conservative views. “I’m kind of embarrassed to be a Republican,” said Ross, a gun owner who favors conservatives on Second Amendment issues but said the economy drove her decision. As one of just two races for governor nationwide, political strategists eyed the race for clues about what would work — and what would not — for 2014’s midterm elections when control of Congress is up for grabs.